These are a new form of online event we came up with for July 4th weekend…it was so very much fun that we’re doing it again! Play along by making cards as challenges are posted every 2 hours; they’ll be hosted on different blogs, so you’ll go there to link up your card. Some will have blog candy, some won’t – but they’ll all be inspiring! See the post itself for any rules, including how long the challenge is open. If Inlinkz isnt working on their blog, check the post itself here on OWH. hosted by Dixie at What’s Next? 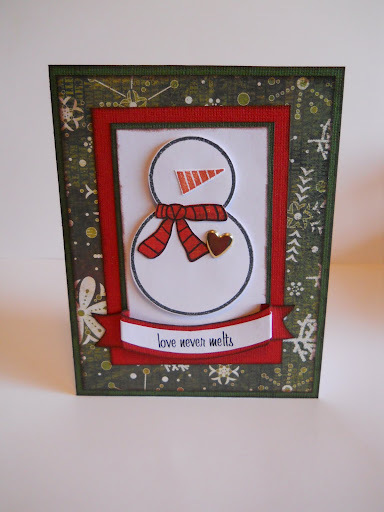 Couldn't post on Inliknz, so here's my card: http://kathrynscards.blogspot.com/2011/09/owh-vcmp-14-and-8.htmlI love how the snowman doesn't have eyes- so cute!